Hospitals are packed with every piece of medical equipment known to man, but it turns out a simple Sharpie pen is also responsible for saving countless lives. It started with Dr. 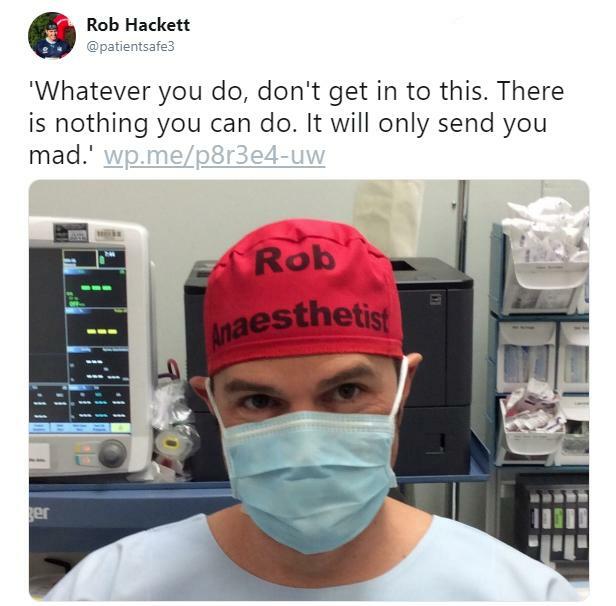 Rob Hackett, who can easily be spotted while walking through the corridors of his hospital — his name and role is emblazoned in large letters on his scrub cap. He jokes that he "look[s] a little daft because not everyone is doing it" as he goes about his day. And it's easy to see why, walking around your coworkers with your name floating on top of your head is super weird looking. Name tags are lame enough, now imagine having one plastered to your forehead? 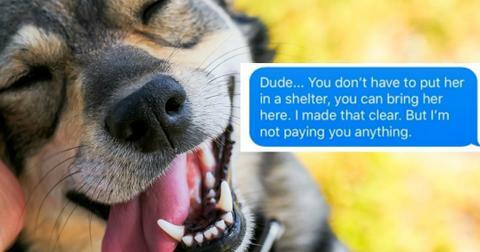 That's some big-time roast-worthy behavior right there. But Dr. Hackett's scrub-cap name tag is catching on and tons of doctors are following his lead. 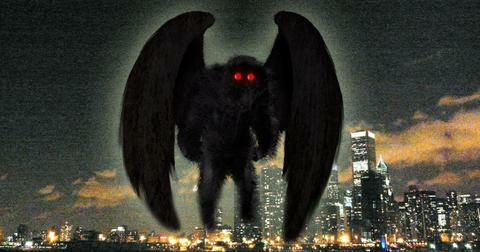 But it's not the some inexplicable fashion trend, like Crocs. It's because the practice is making a difference in the way their hospitals are operating in high-pressure environments. The reason? with the amount of staff walking around hospitals, it's difficult to keep track of everybody's name and specialty. "When you work across four or five hospitals and with hundreds of people, I'd say [with] 75 percent of staff I walk past, I don't know their name. 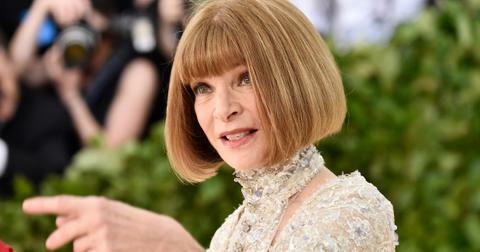 It's quite awkward," Hackett said. Imagine working your way up to becoming a distinguished doctor and someone can't even remember your name? Talk about insulting! In all seriousness, it's a huge problem, especially when you're working with a team of surgeons and every second counts. Dr. Hackett spoke about a patient experiencing cardiac arrest. The doctor asked a colleague for a pair of gloves, but there was confusion as to who he was speaking to. 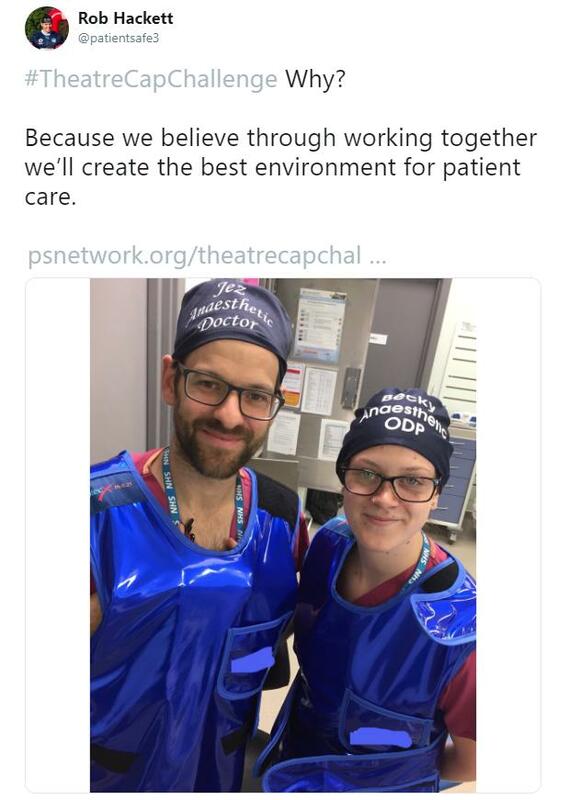 Which is why he donned the cap in the first place, because doctors don't always follow the World Health Organization protocol to introduce yourself to the other members of the operating team before you begin. Dr. Hackett says most of his colleagues don't participate in the practice. "When it's done properly there are a few giggles from people, which tells me it's not done regularly." I get that rules can seem silly, and it's cool to roll your eyes at them, but if there's one profession where you want people being uncool sticklers, it's surgical medicine. 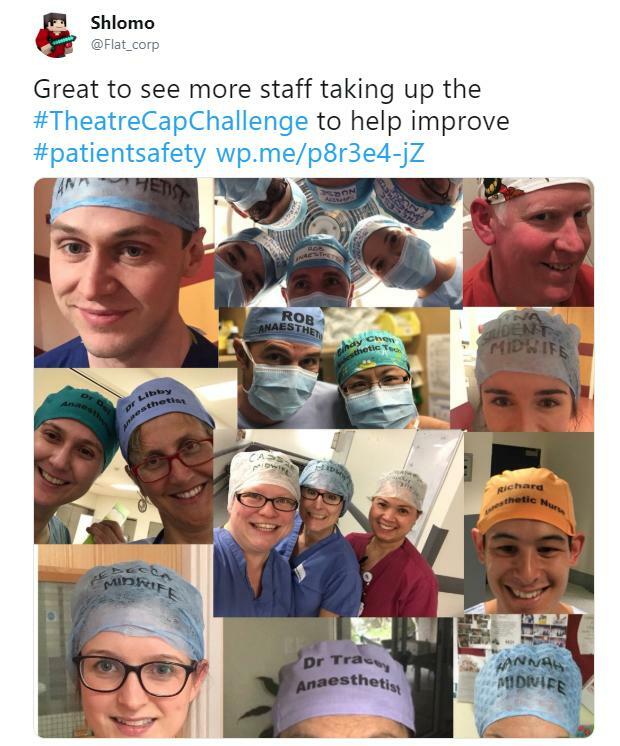 Dr. Hackett also inspired other doctors and healthcare professionals to do the same, Allison Bridle, who's studying to become a midwife, has encouraged others to share photos of their decked out scrub caps with the #TheatreCapChallenge hashtag. 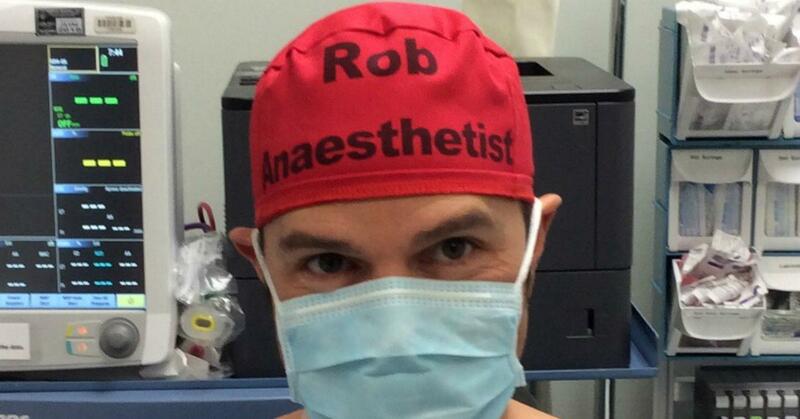 Surgeons across the world are tweeting photos of themselves rocking the custom headwear. Institutions, instructors, administrators, and medical professionals from all over the world are overwhelmingly supportive of the idea. Royal Australian College of Surgeons' executive director, Dr. John Quinn has said, "Anything that increases safety for patients in operating theatres is a good thing," in an interview with The Sydney Morning Herald. 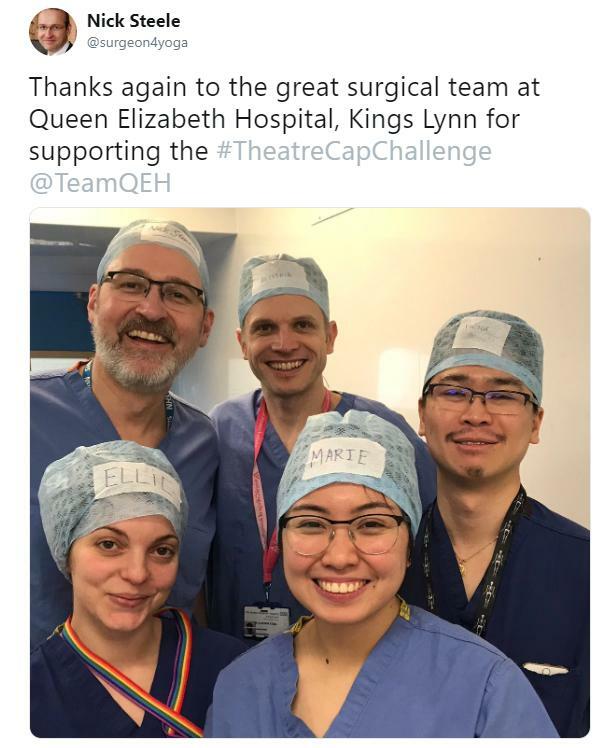 The Times also reported that the Royal College of Surgeons says that the caps could also help to combat biases people may be unaware of. For example, if someone believes a surgeon "doesn't look like" a surgeon, they could be overlooked in a crisis. If doctors' eyes are trained to look for people with specific labels on their heads while scanning available hospital staff around them, it's one less thing they have to worry about when a person's life is on the line. 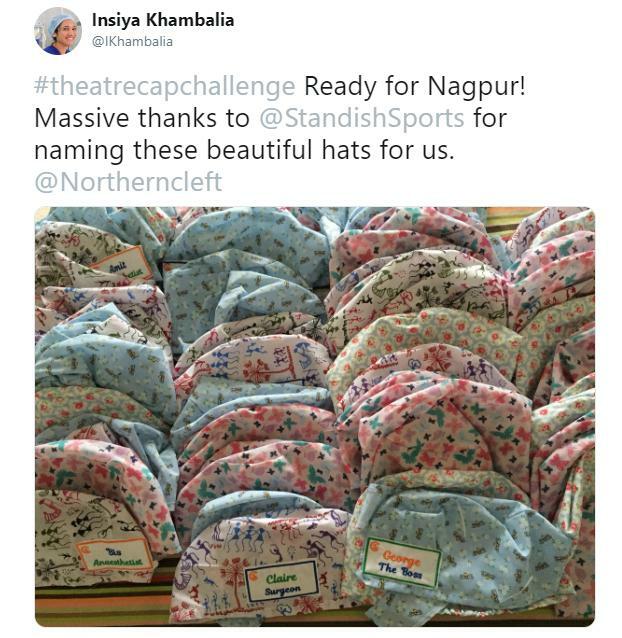 This isn't the first name-themed-medical social media challenge that's popped up on the internet in recent times. Dr. Kate Granger in 2013 got the #HelloMyNameIs hashtag after she was treated in a facility where none of the staff members introduced themselves — it started a conversation on improving bedside manners for professionals. 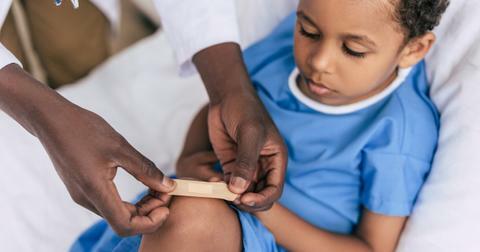 As much love as the new scrubs are getting, doctors and healthcare professionals realize it isn't a foolproof strategy, but it's more of an accessory to bolster preexisting procedures. 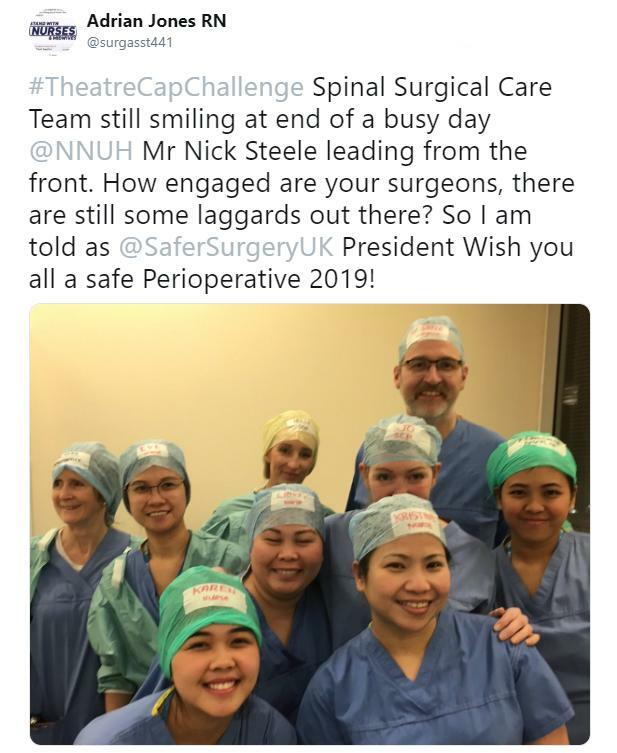 Per Professor David Scott, Australian and New Zealand College of Anesthetists President, "No one strategy is going to make a dramatic difference ... but knowing who's who in a busy operating room means teams will be able to communicate more effectively." I personally think the practice is a great one. I know that my doctor's probably more concerned with their dinner plans than getting to the bottom of whatever's wrong with me, so anything that can help them keep their head in the game while tending to my care is a plus in my book.